It’s obvious from the questions that Translink knows what the problems are in the Tri-cities: indirect, slow routes that form an illegible, infrequent network. It’s good to see that they get it. It’s time to switch from the timed-transfer system with its wobbly routes and lengthy, planned delays to a simpler, shorter, more frequent network that follows from the arterial grid. In the southern half of Coquitlam, the network should be easy to design. In the northern half of Coquitlam, poorly planned subdivisions will make designing a cost-effective network that achieves the usual walking distance standard nearly impossible. Go with the cost-effective, frequent network and let people walk a little further to access more useful transit. Without a SkyTrain station in Port Coquitlam, its transit network will be forced into a branching structure from Coquitlam Central on Lougheed, with each route duplicating every other route wastefully. Making transit travel times more reliable on this part of Lougheed will become more important, and might warrant some priority measures and separation from other traffic. Maybe a sufficiently frequent, fast route on Lougheed between Coquitlam and Maple Ridge with shorter, more frequent perpendicular routes connecting the northern and southern halves of PoCo can eliminate the need for a branching structure, but this may result in too many transfers. That describes the problems with the bus network pretty much everywhere in Metro Vancouver outside of Vancouver. The problem with transit in PoCo is that, it take forever to go anywhere. The C38 is long and windy, the 159 is slow and infrequent (will be even slower after the 2013 optimization! ), and all other routes require multiple untimed bus transfers. Right now it takes more than an hour just to get to SkyTrain (Braid Station) by transit – that’s comparable to Fernridge and Aldergrove, consider how far away they are from King George Station! 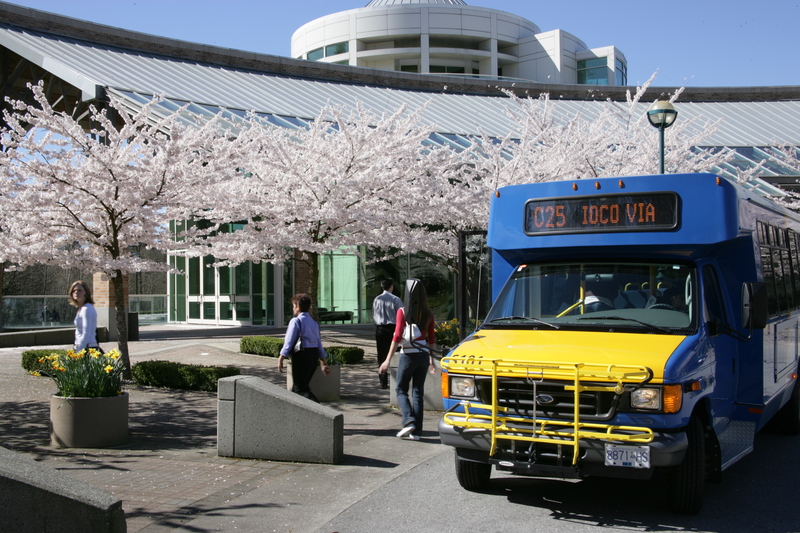 Once SkyTrain comes to Coquitlam, I think all PoCo routes should at least make a connection to the SkyTrain (with the exception of probably C40). The C36 should take over the Coquitlam portion of C38. The C37 from Prairie should follow Lougheed to Coquitlam station. The C38 should split into 2 routes at David, and route both over bridge to the Coquitlam side – one of them could connect to the C30 at Pipeline.